The long weekend is here! Take a break from eating all that Easter chocolate, and get caught up on what’s new in digital. Nike is doing some real cool things in the digital space, Facebook says no to third-party data companies, Arby’s and Warby Parker have joined forces for April Fools day, patients on prescriptions are taking selfies, and an innovative artist is merging virtual reality and fine art. Don’t just take our word for it, read about it all below! "Everyone and everything is a Nike store"
Nike continues to dominate sneaker sales, and they’re maintaining their title as the king of kicks by constantly innovating and implementing new technologies, keeping fans on their toes and thirsty for more when a new shoe or sneaker line drops. 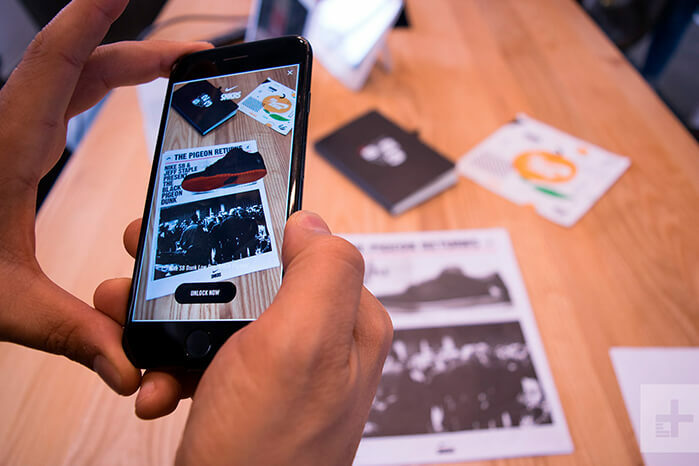 One of their main projects has been revamping the Nike SNKRS app from a traditional shopping experience to be a more interactive and involved experience for devoted sneaker-heads. SNKRS Stash, for example, gamifies the sneaker shopping experience by digitally placing sneakers in secret locations across the city, waiting for people to find them and reveal 360 degree augmented reality versions of the kicks. They can be found in magazines, on billboards, subway walls – you name it. As Digital Trends puts in, “everyone and everything is a Nike store.” Read more about Nike and s23NYC’s innovations in their full article here. Ever since the Facebook data privacy scandal that revealed Cambridge Analytica had violated Facebook’s terms of service for 50 million users, people have been dropping Facebook right, left, and centre. Although Mark Zuckerberg has apologized and promises “to do better,” the scandal has left many people feeling uneasy about their privacy on the social network. But a recent update is hoping to change that. Facebook announced that they will no longer allow third-party data for targeting ads. That means Partnering Categories, a form of advertising that allows companies to provide clients with offline data like purchasing activity, is being officially disabled. According to Facebook, they hope this change “will help improve people’s privacy on Facebook.” Yeah, let’s hope so. Arby’s has an eye for meat. Warby Parker has meat for eyes. WArby’s explores the “intersection between seeing and meats.” It sounds ridiculous, and it is. 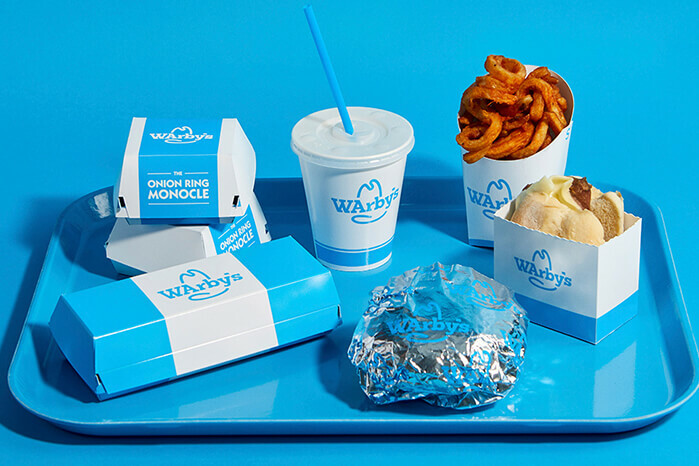 There’s going to be two pilot locations in New York City where guests can try the “Onion Ring Monocle.” They’ve also created a limited-edition WArby’s clothing line. “Meat the merch” here. Last year, we looked at digital pills that help doctors track a patient’s prescription pill intake. If the idea of swallowing a little transmitter freaks you out, how about “selfie medicine”? Since almost 50% of people don’t take their medications properly, researchers are exploring more ways to track and create incentive for patients to stay on schedule and take their prescribed dosage. Selfie medicine refers to phone apps that remind people to take their meds, and prompts them to take a video of them swallowing it, which then gets sent to their clinic for assessment. Apparently, this is “already a daily routine for tuberculosis patients,” but privacy is definitely a concern. How do you feel about selfie medicine? A portrait artist who normally works in 2D has created the world’s first large scale, 3D printed sculpture. 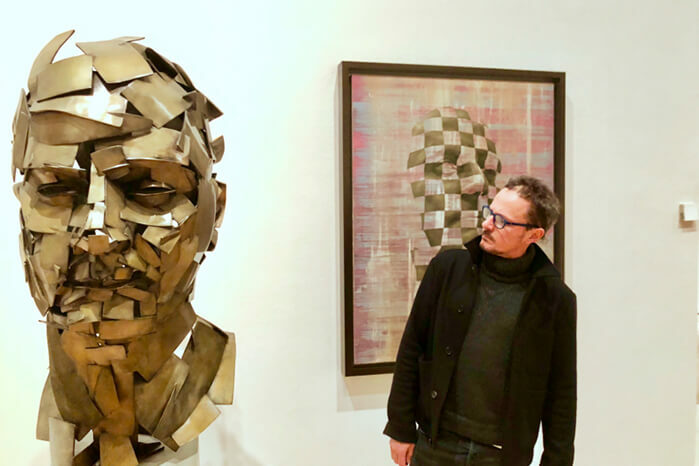 Jonathan Yeo used the Google Tilt Brush to bring virtual reality and sculpture together in a one-of-a-kind self-portrait. After scanning his face and uploading it to the Tilt Brush software, Yeo painted his face in virtual reality then had the sculpture 3D printed and cast in bronze. The art piece can now be enjoyed in person, or in VR. Watch and explore his process in 360 degree video here.